180109 approaches the level crossing at Burn Lane (between Doncaster and Selby) with the 07:20 Kings Cross to Hull service on 17 June 2010. 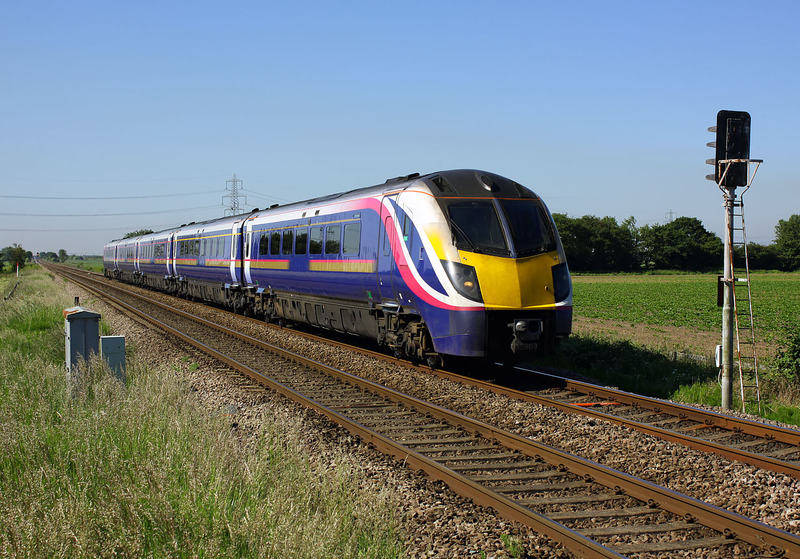 Despite being operated by First Hull Trains, the livery is the original colour scheme applied when the unit was part of the First Great Western fleet. Admittedly the companies are part of the same group, but this unit still looks a bit anonymous.